Earth’s Blue Sky, Will the Children Remember? This is the story of Davin J. Douma and his incredible journey. When Davin was 16 years old, he was convicted of killing a man and sentenced to life in prison. While in the county jail awaiting trial, Davin’s appendix burst. He laid on a cold cell floor in severe pain for days unattended. Then, when it was almost too late, he was in a hospital where he was fed intravenously for five months. Weighing only 90 pounds after being in the hospital, he was sent to a dangerous maximum security prison with adult prisoners. Only one out of a hundred juveniles with life sentences ever come out of this type of prison. Many die and others are never released in Oklahoma where Davin was imprisoned. He used his intelligence and people skills to survive. Book 2: Earth's Blue Sky, Will the Children Remember? Ninety percent of the heat in the atmosphere is now in all the oceans, resulting in huge and powerful hurricanes, tornadoes and cyclones. Massive tornadoes rip through the gulf states and leave 64 inches of rain across the land. The highways cannot handle all the traffic. Many people lack the ability to escape. Thousands are dying. This story begins with the wedding of Laurel, the protagonist and Sage Halley, a recently discharged marine who was stationed in Libya. He and Laurel met on a train traveling to Rigby, Idaho in Earthships Book 1 2030, where they saved the lives of all the people on the train. I share ideas to raise conscious awareness and increase kindness for building a better world. Recently, I focused my attention on climate change and addressed a possible future in my speculative, science-based fiction book series, Earthships. The first book, Earthships: Growing Up in the Climate Shift, tells the story of a young woman with Asperger Syndrome who is determined to save her family, and as many people and animals possible from the ravages of climate change. The second book in the series is now available. 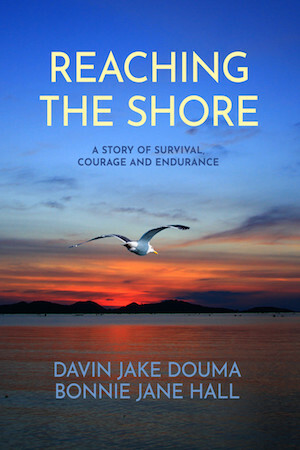 I have written a true story, Reaching the Shore: A Story of Survival, Courage and Endurance, which is completed and available. The story centers around my life and the extraordinary story of my son Davin (check out his book Hard Light). You can check out more articles and essays by Davin and myself at the Mothers for Prison Reform website. Don’t forget to check out my Tumblr blog, too! Copyright © 2019. 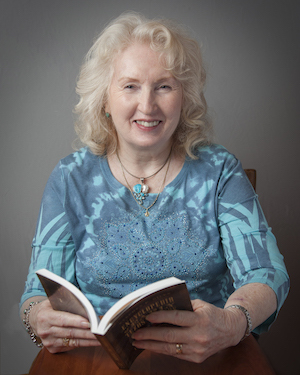 Bonnie Jane Hall. All Rights Reserved.